We absolutely love board games and these are our favourite board games for kids. These are all new board games 2018 UK or reinvented. If you love shopping on Amazon, check out my favourite board games in the Amazon storefront for more ideas. 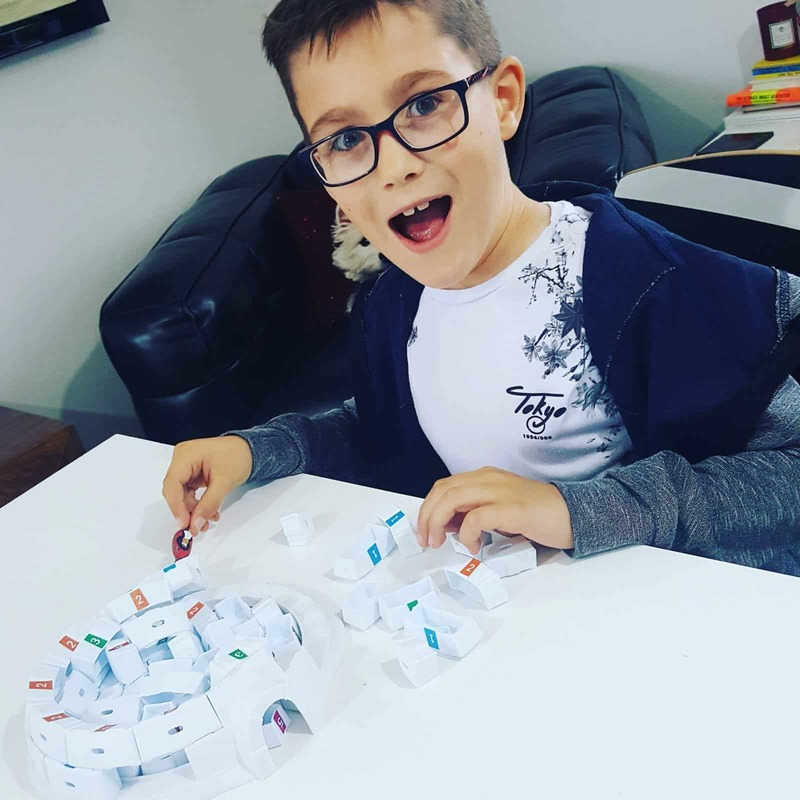 If you homeschool check out over 20 of our favourite educational board games. 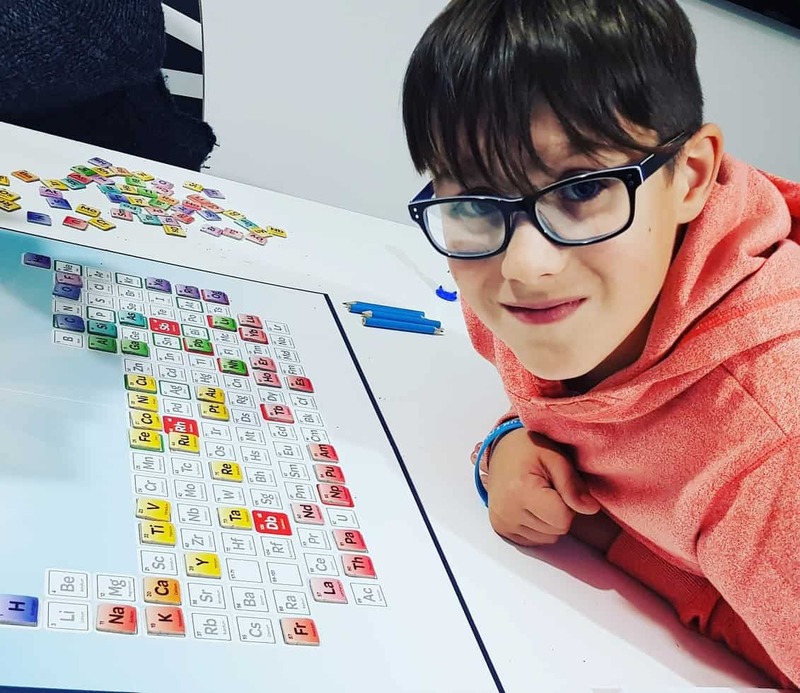 This is an amazing educational board game based on the periodic table of elements. It combines science, English and Maths into this excellent educational game that is fun for all the family. 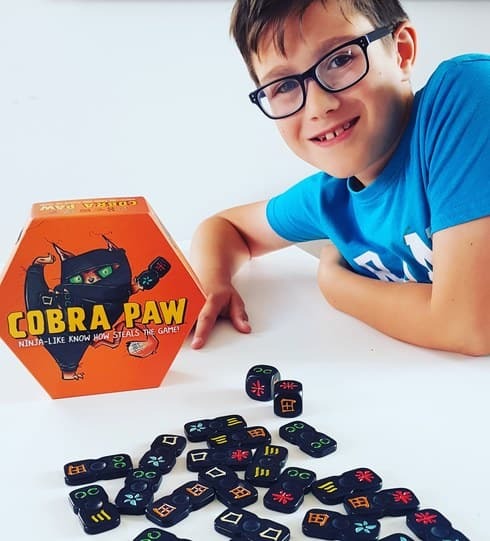 Cobra Paw is a really fast and funny game for the whole family. The recommended age is 6+ but I am sure younger children will also love it. It is all about speed and ninja style moves! Once you have imitated the emotion on your card to the other players, they must try to guess which emotion you were trying to channel. The first player to make five rounds around the game board wins! This is great fun game to play for all of the family. This is probably our favourite board games of 2018. 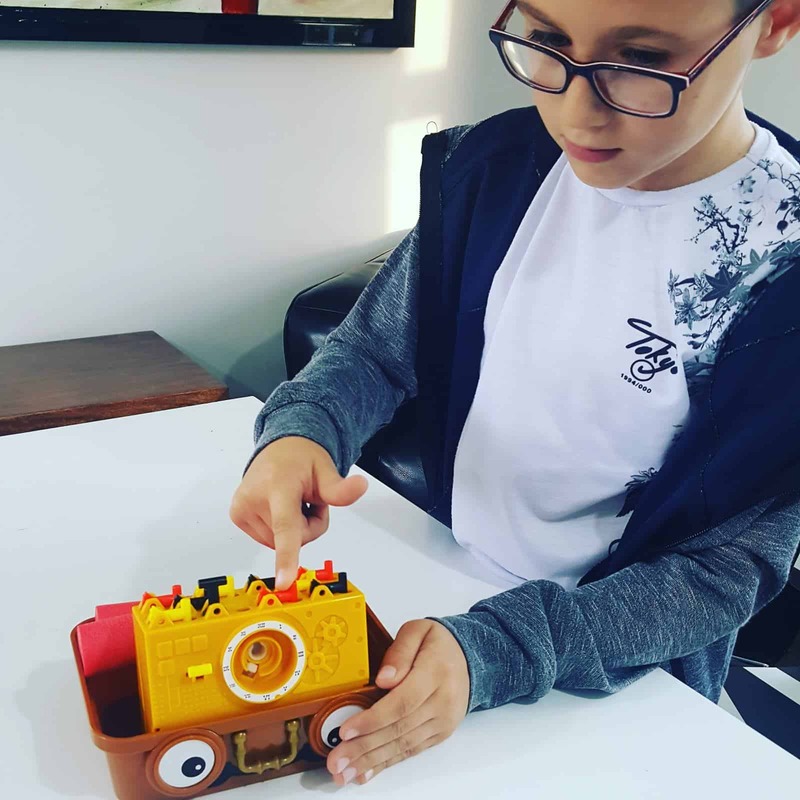 If you are struggling for gift ideas for 9 year old boys check out this Gift Guide. This is another of our favourite new best board games for 8 year olds UK. There are 99 question cards, 1 challenge card, 2 playing pieces, bang on unit and a hammer inside the box. This is a team game really but can be played with just 2 people as myself and Freddie did. You have to name as many answers as you can before the time runs out. Freddie is going through wanting to be a Spy phase, so this is a perfect game. The aim of the game is to crack open the safe and release the coins before the alarm goes off. This is suitable for people aged between 6 and 106. Now I’m 40 and hubby is 50 and we loved it, I can’t testify to a 106 year old though!!! This certainly gets the competitive juices flowing, well certainly in our household! It is a very simple board game. You have to stack the cups on your side as quickly as you can in the correct colour order. The winner is the first person to have stacked up all of their cups. Snip, SNIP and win by growing the longest beard. Big beard battle will test your memory as well as your beard growing skills. Put on your moustache and flip the spinner to collect your beard cards. Use your memory to turn over the correct colour and easily affix it to your beard. But beware, if your opponents spin the scissors or shaver they can choose a player to SNIP or shave their beard off! if a player spins the shaving foam, hurry as all players get a chance to touch one of their own cards and win that round. 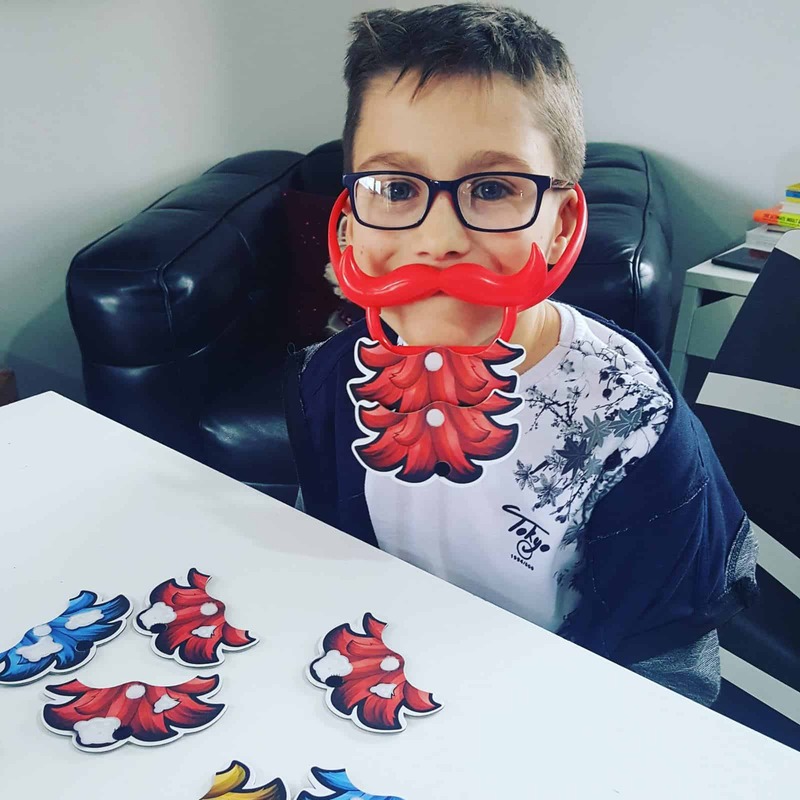 The first player to add four beard pieces to their beard wins the board game! 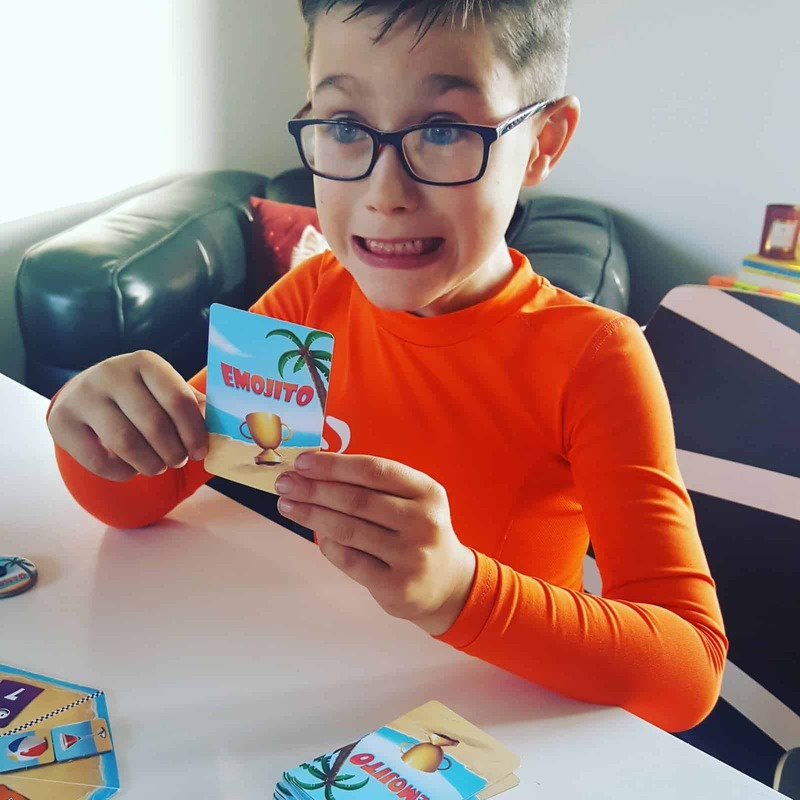 Great family fun with hilarious game play! The aim of the game is to get Parka Pete to remain in place, the game is over as soon as he is knocked down and the loser is the person with the most ice blocks (normally the one who knocks Parka Pete down!). There are penguins with picks that are used to gently remove each ice block and you take it in turns to take one block out. Hoping no more fall outside of the dome, because if they do they are added to your pile. The age of this is 5+ and is suitable for 2-4 players. This is a quick fire card trading board game from Drumond Park for up to 8 people for ages 8+. 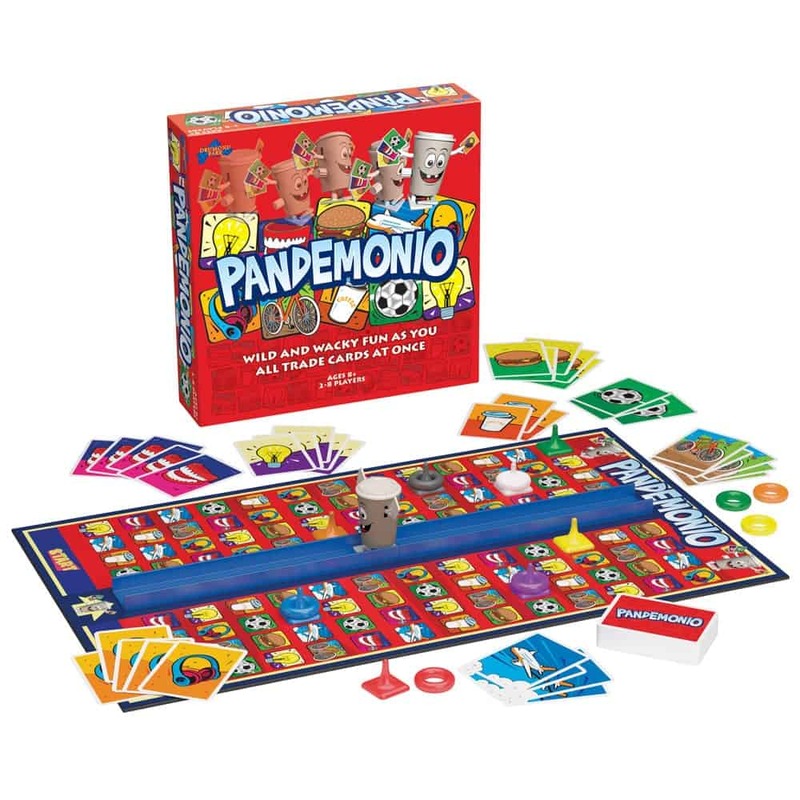 It is a loud, funny and raucous game with 2 levels for all skill and age groups. The idea of the game is to get all the way up the board, which you can only do when you collect as many of the correct cards as possible. This is harder than it sounds as you collect cards that are facing down! Each turn you must swap as many cards as you can and in order to move up the board you need to have collected the card that matches the square you are on (bike, planes, false teeth etc). You only have until Wind Up Colin grinds to a halt though, so it really is frantic. Board games don’t get much better than this! Diffuse or lose! wacky wild west game where players try to diffuse the dynamite and save the gold. 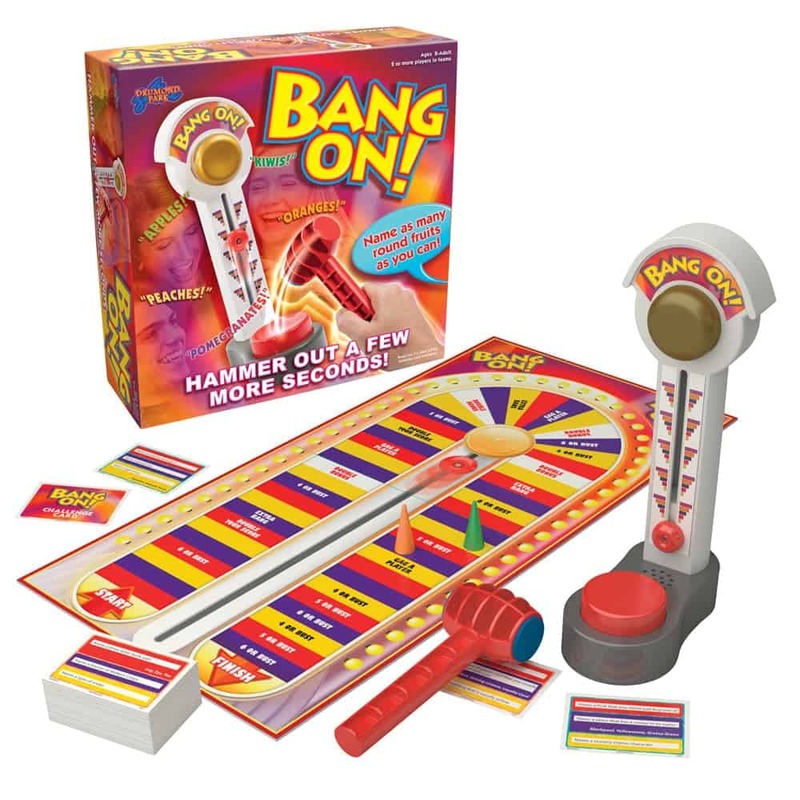 Includes a fun safe, just stack the red foam dynamite in the back, wind up the timer and start the game. The clock is ticking – time to get picking! which detonator plugs will diffuse the dynamite? Push the plugs as fast as you can but watch out – chose the wrong one or take too long and the dynamite explodes! can you get the gold and win the game? Push the correct Plug and the timer pops out of the front of the safe and you win the game. There is a constant battle in our house with Freddie insisting on playing on computer games, and me insisting that he either reads or plays more educational games. I am sure (well I hope!) we are not the only 2018 household in this situation. As Freddie wants to be a rock star when he grows up, this is a great educational game for him. It is all about having fun while getting the kids into coding and programming. Osmo is a magical, award-winning game system that encourages creativity and problem-solving skill development for kids through hands-on play. 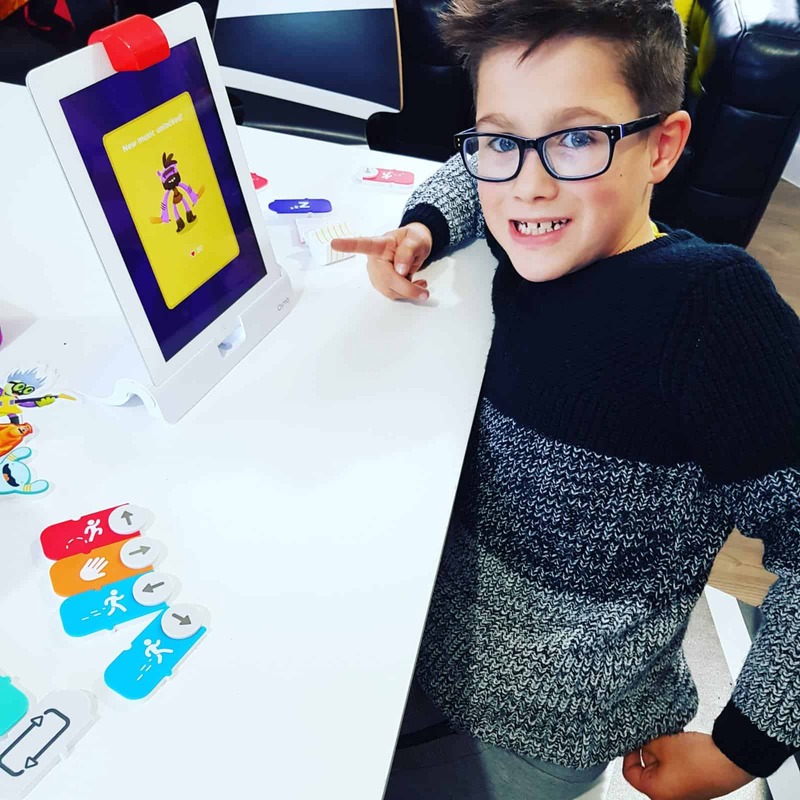 Osmo Coding makes coding more fun and approachable! 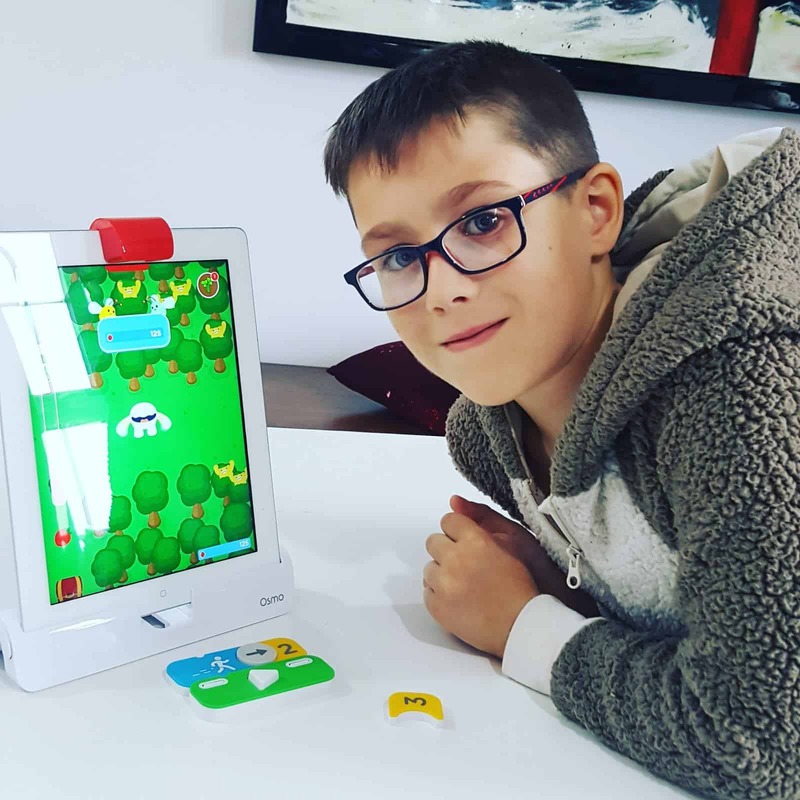 Kids navigate the character Awbie through his magical world and learn real programming concepts by linking Osmo Coding blocks into sequences, loops, and ‘if/or’ actions. Thinking and problem-solving skills are rewarded with fun stuff like strawberries and pies and new adventures. Kids learn coding fundamentals and have fun at the “berry” same time! Operation Escape Room also looks like a great game, check out the review. If you prefer educational kids gifts check out our educational toy gift list. So these are the most popular board games from 2018 and they are all really fun to play. 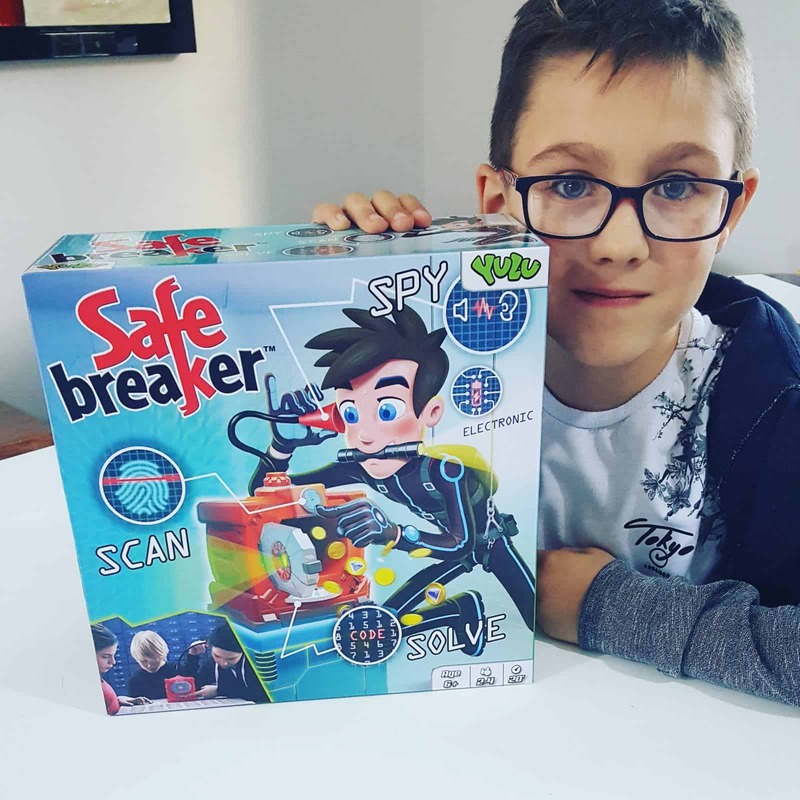 My favourite board games of 2018 for children aged between 4 and 12 years old. Osmo coding is great fun, and educational too. Emojito is our favourite it is just so funny and can be played by all. Emojito was excellent, we played it alot at Christmas with Freddies grandparents, that was the funniest thing!! I hadn’t heard of any of these! Gotta check them out. We love love love board games.